So I'm sitting here on the first day of April with the temperature at 52° wondering if we'll ever see Spring! It should be at least touching 70° at this point of the year! I've been a bit of a funk this winter as it is and with the tease of spring looming, I can't help but wonder when I'll be able to take my son out to the park without the repercussions of the sniffles to follow! Oh, I get it... It's Mother Natures "April Fools" joke! Carry on with your sun-filled warmer days my Southern Friends! I'll be joining you soon! Me and the Family are moving back to Nashville on June 1st! I got a publishing deal that will keep me super busy with actually WRITING for a living... YAY! All my Nashville Friends, send me your info! Love to catch up and set up times to meet up and gauge where to live! It's been a while since I lived there and KNOW a lot has changed! There are so many perks to living in New York… There is the endless electric night life… There are the inspirational bright lights of Time Square… There is the infectious shopping from 5th ave. to the boutiques and vintage shops of Brooklyn… There are also little undiscovered eateries on every corner… Not to mention, style for miles from the fashionistas of the Upper East Side to the Bespoke shops of Chelsea! 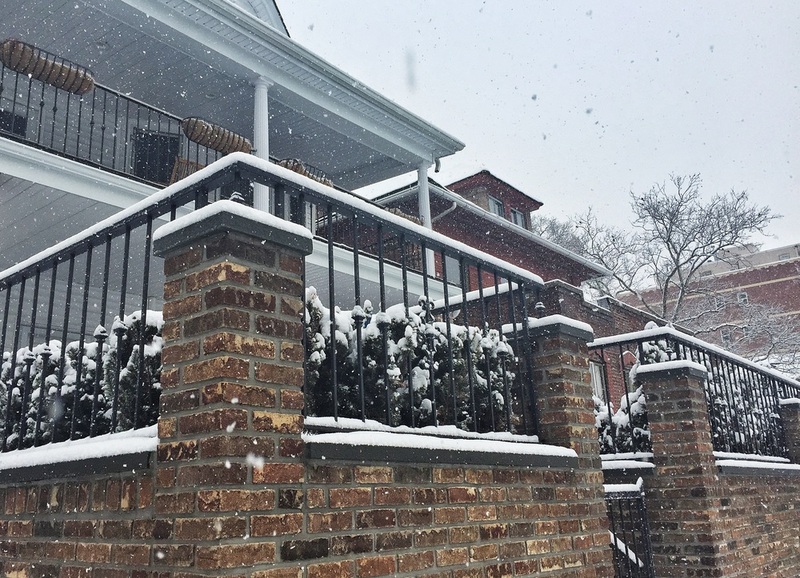 One thing that doesn't excite us New Yorkers is the SNOW... and TONS of it! Given last years winter, I knew that I had to protect me and my Family from the ills of THIS winter! Thank GOD I got it because this winter is worst!